A project of the Illinois Judges Association, the reading program is aimed at children in grades K-4 to encourage the appreciation, value and enjoyment of reading. Judges dressed in their black robes will make classroom appearances, and read the book and discuss its intersection with history and the law. The book will be donated to the school library. Surveys by the Annie E. Casey Foundation have found that a significant percentage of fourth-graders from low-income families are not reading at grade level. Further, children who are proficient readers by the end of third grade have a greater chance to graduate from high school and become economically self-sufficient adults. Abe Lincoln’s Hat, an illustrated account of the adventures of our nation’s 16th President, reveals the secrets he stored in his tall, black hat. 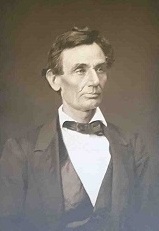 The book portrays Lincoln as an absent-minded frontier lawyer who nudged his memory by sticking letters, court notes, contracts, and even his checkbook inside his trademark top hat. The project is the latest in a series of community programs undertaken by the Illinois Judges Association that include the IJA’s Page It Forward reading and tutoring program. Other IJA programs are “Courtroom in the Classroom,” a presentation that celebrates the U.S. Constitution, and “7 Reasons to Leave the Party,” covering the legal and personal consequences of drinking and driving, taking drugs, and engaging in other unhealthy behaviors. 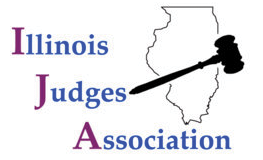 The Illinois Judges Association is a membership organization of 1,250 active and retired judges whose purpose is to foster public confidence in the independence of the judiciary, provide services and education to its members, and information about court operations to the public. Funding for the books was made possible by a grant from the Illinois Judges Foundation.